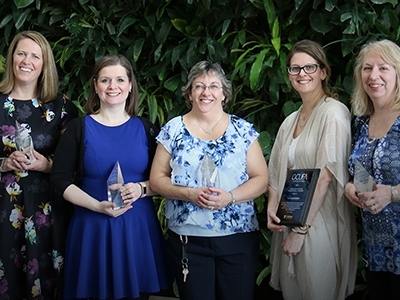 2018 Awards Winners from left to right: Melanie Coulson – (Teaching Excellence), Stephanie Carvin – (Public Commentary), Marilyn Ginder – (Staff Excellence), Mira Sucharov – (OFUCA Award), Laura Macdonald – (Research Excellence). 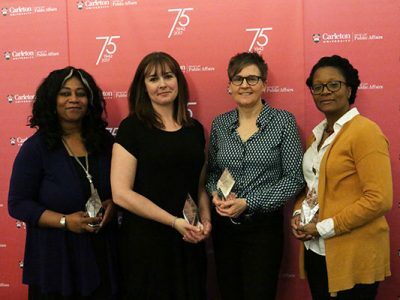 Not pictured: Gopika Solanki – (Teaching Excellence). The success of the Faculty of Public Affairs in preparing its graduates for service in the greater world is a reflection of its exceptional faculty and staff. 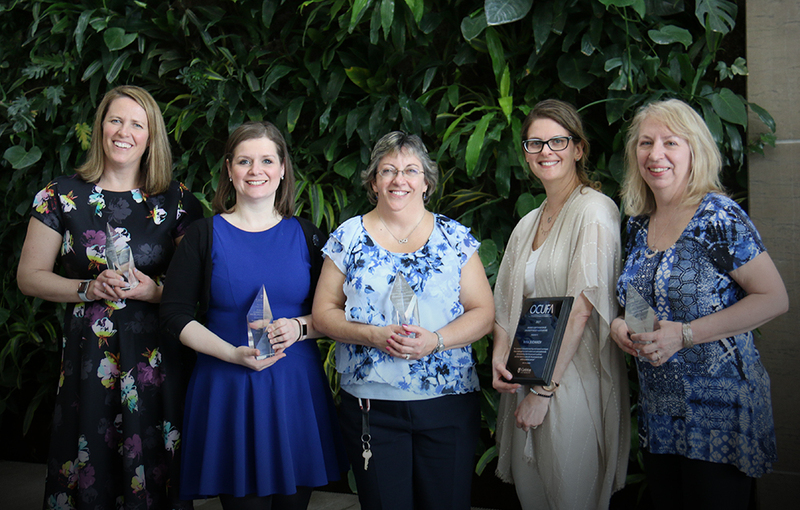 Each year, we honour members of our team who embody the Faculty’s values.